The property market and housing affordability has dominated the headlines for much of 2017, which has left some of us feeling that property ownership is well out of reach. 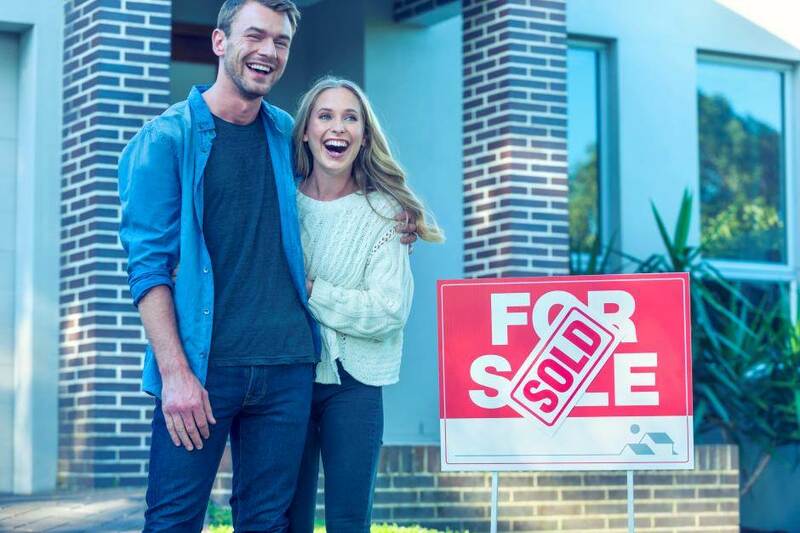 However, with a few insider tips and a positive savings attitude, that Instagram snap of you in front of a sold sign is a lot closer than you think! It all starts with savings Your very first step is to open a savings account with a great interest rate that will reward you for saving. Consider one that withholds interest if you make a withdrawal to help avoid the spending temptation. House and land packages are popular with first home buyers, but you can also buy houses and apartments off the plan. Of course, you can always purchase an established home that you want to do some renovations to. If you haven’t already, jump online and see what is available. Chat to real estate agents at open houses to gain property market insights. Family and other experienced property buyers can also give you advice on what type of purchase makes sense for you. Keep a record of the open houses you visited to remember what you liked and didn’t like about each one. Keep in mind you can buy a home listed with a real estate agent, but some home owners prefer to sell privately and save on agency fees. There are many different types of home loans available, however your best bet is to compare current mortgage rates and use a home loan repayment calculator to work out how much you can afford to borrow. Speaking to a lender about your different options is a good start to get a grasp on how much you need for a deposit, plus any loan establishment and ongoing fees. Some financial institutions require a 20% deposit to avoid lenders mortgage insurance. If saving 20% seems daunting, speak to one of our lenders to explore your options. You might want a family member to act as guarantor, or share ownership of the property with a family member or partner. Another key element of the home buying process is finding a good solicitor who will explain what you need to know from the contract of sale. Don’t be afraid to ask questions as it will make buying a home easier in future. Depending on eligibility criteria, you could be looking at receiving the first home owners grant which is $10,000 towards the cost of your home. Learn more about the NSW first home buyers grant here. A home loan is a large debt and big responsibility, which is why many people opt for income protection and loan repayment insurance when taking out a home loan. After you’ve purchased a home and got the keys you’ll need to organise home and contents insurance. The best place to start is by doing a home and contents insurance comparison. If you’ve built your home, the cost of the build should be in your building contract, so you’ve got a good idea of how much to insure your home for.